Who here has heard of a Tlayuda? It’s kinda going to change your life. 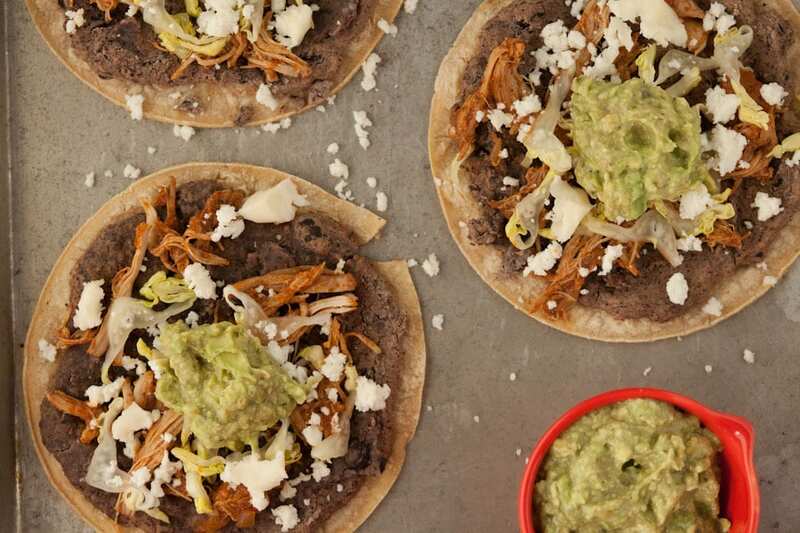 I recently discovered this amazing dish on my 1900 mile road trip across the Southwestern part of the U.S. It’s pretty much a Mexican Pizza that is topped with a black bean puree, some sort of meat, different regional cheeses, shredded lettuce and avocado. And if your name is Gaby and you have an uncontrollable obsession with Guacamole, then mash up those avocados and throw them on top! Tlayuda is a specialty of Oaxaca, Mexico. Word on the street is that these Tlayudas are a super popular snack in Oaxaca, but after making these a few times at home, I’ve come to the conclusion that they make an excellent dinner wherever you live! 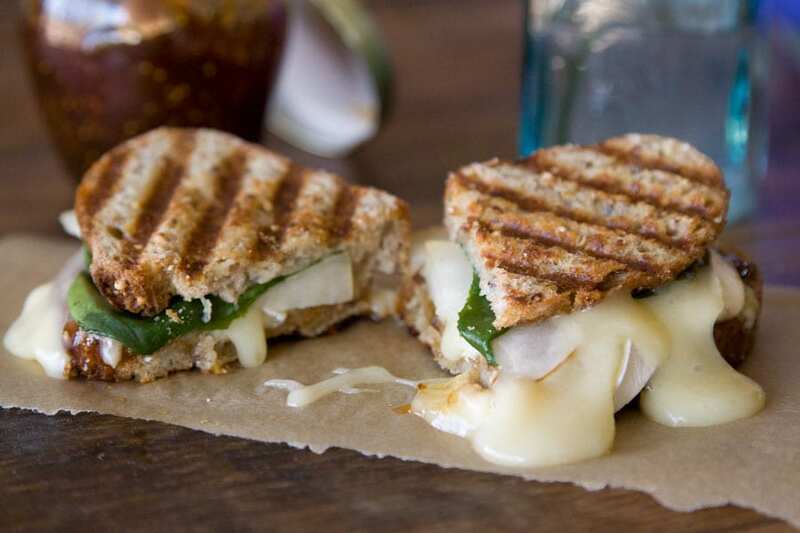 It’s just a matter of having a few ingredients on hand and throwing it all together. Not to mention the variations with the Tlayuda are endless. Rather than using shredded chicken you could use pork or beef. Or try mixing up the cheeses. Perhaps even re-fried beans as the base? (although traditionally it’s always black beans) These Mexican Pizzas are officially on my go-to menu for summer entertaining! After having a Tlayuda in San Antonio a few weeks ago, my compadres Aida and Lillian and I decided that we would make our own! And let me tell ya, they are goooood! 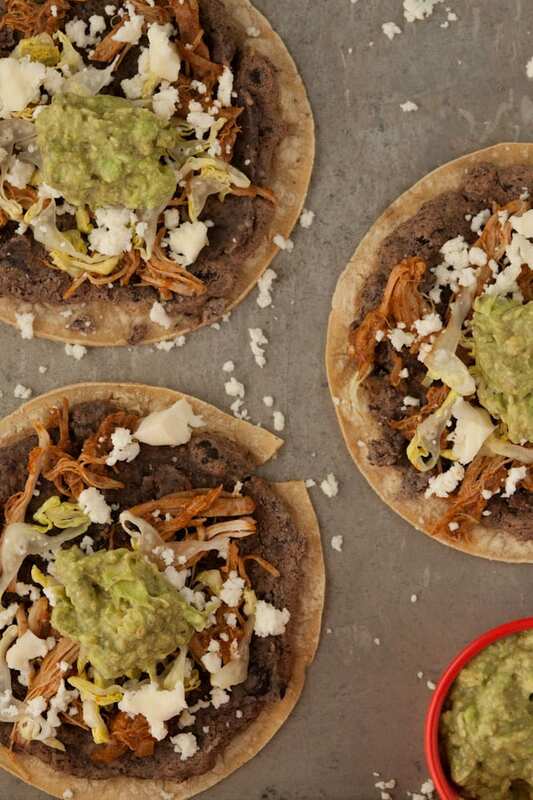 Tlayuda: A Mexican Pizza piled high with a black bean puree, shredded chicken, lettuce, regional cheese and guacamole. Add the chicken thighs, cumin, coriander, paprika, chili flakes, cayenne and salsa in a slow cooker. Cover with the lid and turn heat to high and let cook for 5-6 hours until the chicken is easily shredded. Shred the chicken with two forks and set aside. Place corn tortillas on a baking sheet. Evenly spread some of the re-friend black beans on top of each tortilla. Transfer to the oven and bake for about 10 minutes until the tortilla is slightly crisp. This looks awesome! I love Mexican food and am always trying to find healthier versions. I think I could tweak this pretty easily. And I love that you made your own refried beans! Definitely better than canned! I have had a pizza like this & YES amazing! Fun to hear about mexican cuisine for a change…. Hmm. Do you think I’d be able to modify this, not having a slow cooker? I absolutely love the idea of this dish, and the flavors involved are some of my favorites in Mexican food, but it seems my resources are limited. Maybe I could cook it similar to the way you’d do a soup or stew? In a large stockpot, for a similar length of time? This is perfect for us, too! This is definitely going into the rotation! These look perfect! My husband swears that his stomach was Mexican in a former life and we cannot get enough guacamole, ever. Okay did someone say pizza and guacamole in the same sentence? Could only be GD!! Amazing. These look so tasty. I like this new twist on pizza! I have never baked tortillas like that but have seen versions of this…must try! These look amazing! And it just so happens I have chicken thighs in the fridge. No refried beans, maybe I’ll use black. I’m new to tiayudas but I’m thinking I’m liking them! I’ve made pizzas like this before but never knew that there was an actual authentic version of it! That’s pretty awesome. I am always in the market for new ways to enjoy guac! I will be making these soon! 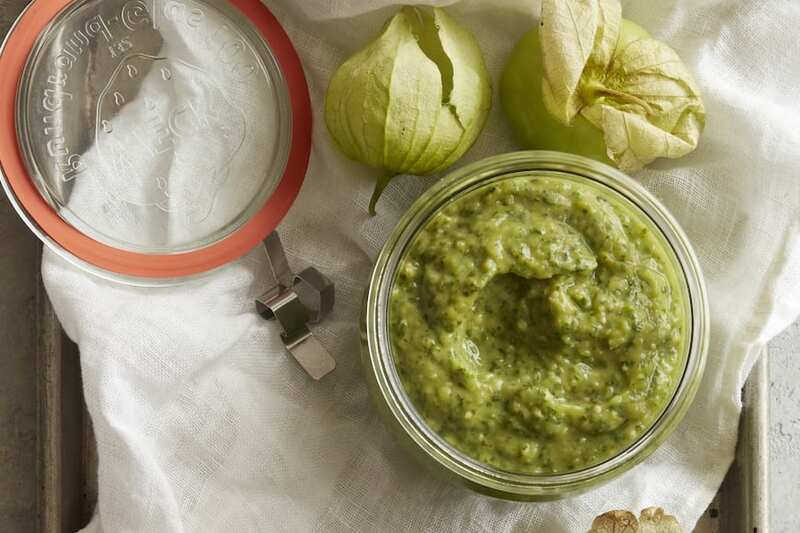 Another great recipe that has guacamole in it! Thank you! These look wonderful! My bf is going to LOVE them. Making soon — will report back. I love anything with the words Mexican and Pizza in the same sentence. Yum! Pingback: Things I Will Be Doing At or After 5:01 P.M. | Punch It In! I spent some time in Oaxaca, too. What a lovely place. They often flavor the tlayudas down there by putting a smear of tasty lard underneath all the other toppings.